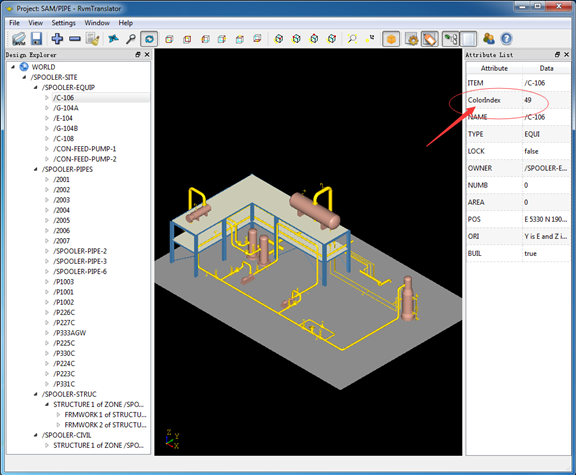 RvmTranslator can translate the RVM file exported by AVEVA Plant(PDMS)/AVEVA Marine to STEP, IGES, STL, DXF, 3D PDF, OBJ, 3DXML, .etc. 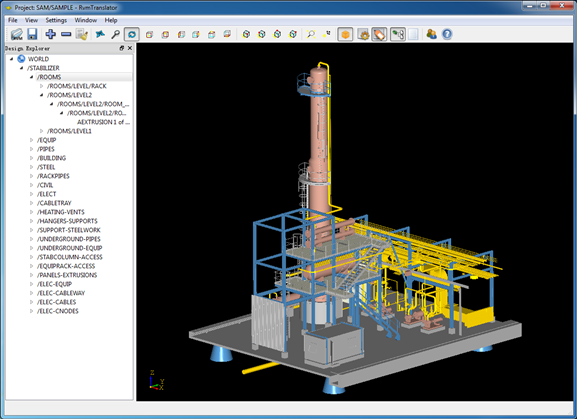 So it can be used for exchanging model data between other CAD software, such as Autodesk AutoCAD, Plant3d, 3ds Max, CATIA, Solidworks, Pro/E, Unity3d, .etc. 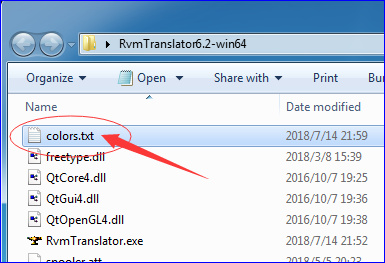 I am pleased to announce a new release of RvmTranslator6.2. The colors.txt file in the application folder can used to set up to resemble the ReviewReality color scheme. 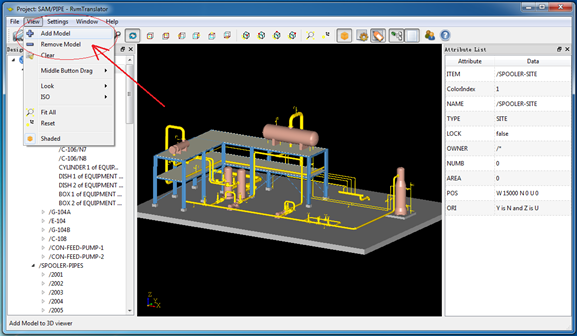 You can edit the colors.txt to change the color scheme to show model in your need. After you config the colors in the colors.txt, you can show the same color in RvmTranslator. 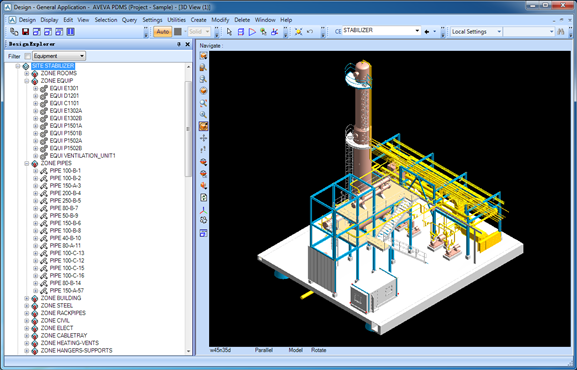 The following figures show the result in RvmTranslator, you can see the color is the same with PDMS. How to customized the color please read the colors.txt. 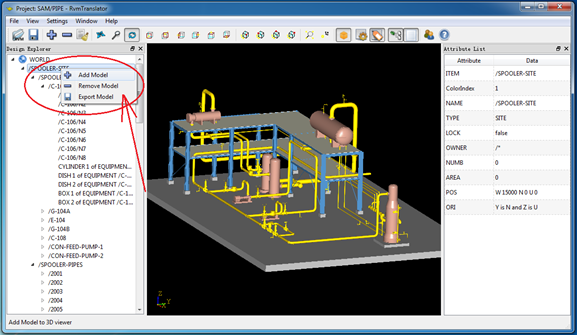 These Add Model/Remove Model functions are to add the selected tree node model to the 3D viewer or remove the selected tree node model from the 3D viewer. 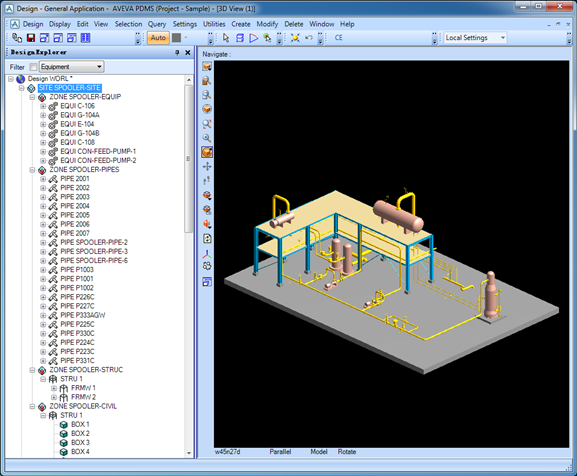 The clear 3D viewer function will remove all the models in the 3D viewer.